We’ve had the honor of spending time this weekend thinking about each of the fallen contractors whose names we’ve been able to compile on Our Fallen Contractors memorial at American Contractors in Iraq and Afghanistan. Please keep them in your thoughts as well as the many unnamed and uncounted Contractor Casualties who gave it all. Further south, NATO said a civilian contractor’s helicopter crash-landed Sunday in Paktia province, killing one civilian on the ground and slightly injuring three crew members. NATO said the cause of the hard landing was being investigated, but there were no reports of insurgent involvement. A super-germ that’s become a lethal threat to troops in Iraq and Afghanistan may have met its match in a novel technique that kills entire bacterial colonies within hours. 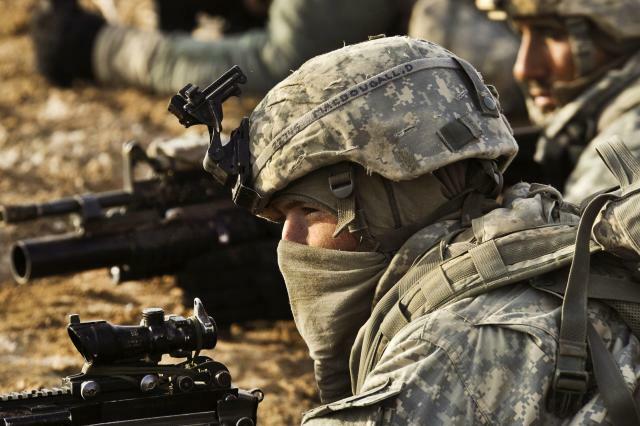 Today’s troops have a nine in 10 chance of surviving their battle injuries. But wounds and amputation sites leave them vulnerable to infection, especially by Acinetobacter — an (opportunistic pathogen) somewhat misleadingly nicknamed “Iraqibacter” for its prevalence in war-zone medical facilities. As Wired magazine reported in 2007, the bacteria has infected at least 700 American troops since 2003, and killed at least seven people exposed to it in military clinics. Iraqibacter was once treated with common, easy-to-access antibiotic drugs. But in the last few years, the bacteria have developed a powerful resistance to all but one medication, called Colistin, that’s got a bit of a nasty side effect: potentially fatal kidney damage. Since the illness afflicts relatively few people, Big Pharma companies aren’t exactly lining up to develop new drugs. But a Pentagon-funded research team at the University of Massachusetts Amherst, along with small biotech firm PolyMedix, are making rapid strides toward a new line of Iraqibacter treatments — and the medications could spur the development of antibiotics that can fend off other drug-resistant ailments. The scientists have already used the new type of antibiotics to effectively treat staph infections, which kill thousands of Americans each year. Common antibiotics work by attaching to a specific molecule (like an enzyme) inside bacterial cells. With some minor adaptive changes, bacteria can alter their cell structure to prevent antibiotic binding, thereby becoming resistant to the drugs. Some infections even develop “persister cells,” which stop growing when the antibiotics are administered, and then turn back on once a round of meds is completed. But Tew and his team have developed antibiotics that work from the outside to quickly destroy bacterial cells. The drugs work by poking holes in bacterial membranes, killing the cells instantly. 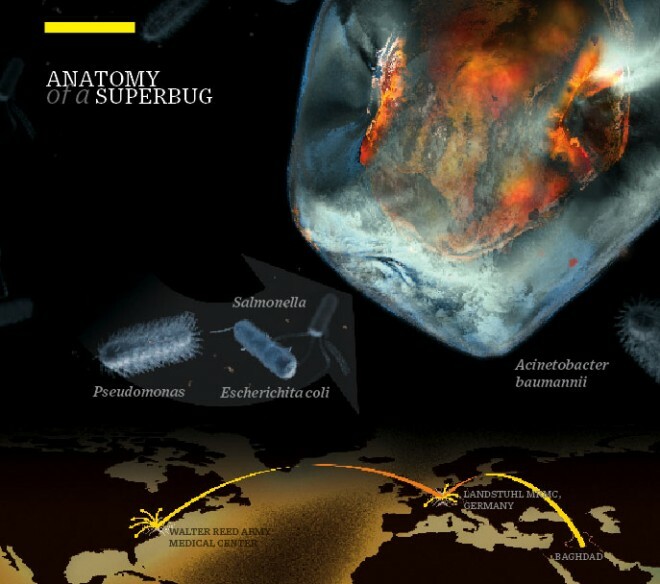 Within a few hours, the antibiotics are able to kill off entire colonies of bacterial pathogens. And resistance is futile: Because the meds don’t enter the actual cell, it’s impossible for the bacteria to fight back through structural adaptation. Right now, the group is starting animal studies of Iraqibacter antibiotics, though Tew anticipates that human application is several years off. The scientists are also involved in preliminary research on using the membrane-puncture method to address other strains of bacteria. DynCorp seems to be making a proactive effort to support Earth Day by holding a “keep your burn pit clean day” at Camp Leatherneck in Afghanistan. Oh wait it isn’t Earth Day, it’s “unauthorized” work day. From what I can ascertain, one of Dyncorp’s “best and brightest” is running a-muck. Apparently a site manager (former KBR) took a bunch of Dyncorp employees (the word on the street is up to 50) on a little “honey do” project for the Military. “Honey do” aka “drug deal” aka “no paperwork”….in other words unauthorized work. One might say he was just helping out the client (military), just doing the client a favor. On the other hand it’s total fraud to do unauthorized work. I’d like to see what they put on those time sheets. It appears to be the same old thing. 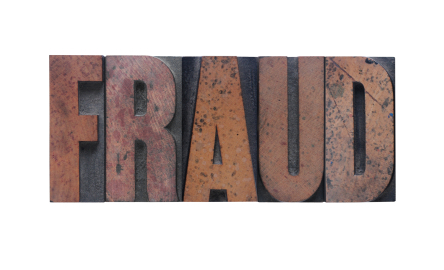 “Catch me committing fraud if you can.” (yawn-oh so boring) The DoD doesn’t seem to care to much about this so why should we. It’s just our damn tax dollars at work. The thing that really disturbs me is the actually “honey do” project itself. Clean up the Camp Leatherneck burn pit. 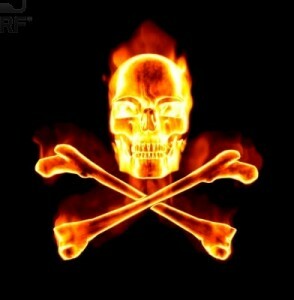 According the media the burn pits have burned everything from body parts, vehicles, unexploded ordinance, chemicals, metals you name it. This sounds more like a major Hazardous Material and Environmental clean-up and not a “Honey do” project. It sounds to me like a project that would require planning, equipment, material and support, Job Safety Analysis (JSA) or Activity Safety Analysis (AHA), protective clothing, gloves, and respirators. Did any of these safety precautions take place? Apparently not. This site manager just marched them on out there to work. It totally pissed me off that even with all the media coverage about the health concerns and dangers of the burn pits, this idiot totally disregarded the health and safety of their employees in order to score points with the Military. Now Dyncorp is in a quandary. There is no doubt this particular manager would fire anyone who did the same thing. Is Dyncorp going to fire him for cause for violating just about every damn rule and regulation there is. Not to mention he screwed Dyncorp out of extra authorized work. Money money money, it’s all about the money! If Dyncorp is wondering why things are so screwed up in Afghanistan. Just take a good look at this incident, which I’m sure is not an isolated one, and then head on up the management chain. I hope the DCAA, DCMA, CWC and others are reading this. Earlier this month, KBR management put together an informative power point presentation regarding compensation and benefit changes for those transitioning from LOGCAP III to LOGCAP IV in Iraq. I would assume their intention was to ease employee concerns and squelch any rumors that are bound to arise in a transition such as this. Not an unreasonable management approach. Military Extraterritorial Jurisdiction Act – Under the Military Extraterritorial Jurisdiction Act (MEJA) persons employed by or accompanying the U.S. Armed Forces outside the United States are potentially subject to prosecution for certain criminal acts, including such acts occurring outside the United States. MEJA applies only to those crimes punishable by imprisonment for more than one year if committed within United States jurisdiction. The law applies to individuals accompanying a contractor for the US armed forces, which may include a dependent of a DOD contractor or subcontractor employee. This law authorizes DOD law enforcement personnel to arrest suspected offenders in accordance with applicable international agreements and specifies procedures for the removal of accused individuals to the US. It also authorizes pretrial detention and the appointment of counsel for accused individuals. See Army Field Manual 3-100.21,Contractors on the Battlefield and DoD Instruction 5525.11, Criminal Jurisdiction Over Civilians Employed By or Accompanying the Armed Forces Outside the United States, Certain Service Members, and Former Service Members. Prostitution –The Company has adopted a “zero tolerance policy” regarding employees who engage in prostitution and other related activities, including, but not limited to, pimping, pandering, or maintaining brothels. Failure to comply with this policy will result in disciplinary action up to or including removal from the Assignment Location and/or termination of employment in accordance with standard procedures and applicable laws or regulations in the host country. “The Company has adopted….what?? For USG contractors or their employees to participate in prostitution in ANY manner, in any location even if it is legal in that location is a Trafficking In Persons (TIPS) violation and therefore a violation of the Federal Acquisitions Regulation (FAR) and Defense Federal Acquisition Regulations System (DFARS). These FARS are not recommendations or guidelines. They are Federal Law and compliance is REQUIRED in order to participate as a USG contractor. So every time an employee goes to Thailand and procures a “girlfriend” for a week or two is violating federal law. Technically, I think KBR is required to self report every time someone comes back bragging about their Thailand exploits. Subpart 22.17 of the FAR and Subpart 222.17 of the DFARS outline the REQUIREMENTS that Contractors MUST adhere to in order to combating Trafficking In Persons. Secretary of Defense Donald Rumsfeld issued a memorandum in September 2004 which stated “trafficking in persons will not be tolerated”. The FAR and DFARS were officially amended in April 2006 to included the Subparts 22.17 and 222.17. Isn’t KBR a little late to this party? This has been very enforceable all along. They could have fired John Reddy and his minions for participating in his Towne Lodge brothel in Thailand. They still could fire those who participated and are still employed. Will they? Highly unlikely. What about Donald Vannoy and his brothel in Pattaya? 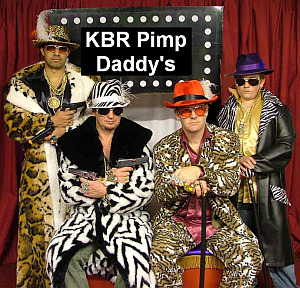 KBR doesn’t have to adopt a “zero tolerance policy” to enforce federal law. So why the big public appearance on this. Are they trying to appease DoD investigators? Retired CIA officer Rob Richer recently hit upon a novel idea for memorializing the five agency officers and two contractors killed last year in a suicide bombing near Khost, Afghanistan: He would climb on his mountain bike and ride across the country in their honor. WASHINGTON — Barred by law from uttering his slain comrades’ names in public, retired CIA officer Rob Richer recently hit upon a novel idea for memorializing the five agency officers and two contractors killed last year in a suicide bombing near Khost, Afghanistan: He would climb on his mountain bike and ride across the country in their honor. 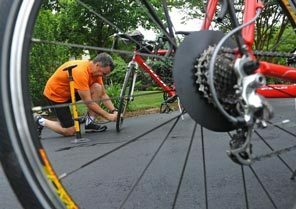 But Richer, 56, a former Marine, had no sooner posted the itinerary for the 3,200-mile odyssey on his website (www.pedalingforpatriots.com) than his phone began lighting up. Dozens of people, many of them strangers, were calling to ask if they could participate, either through donations or by joining him on the journey. Retired intelligence officers, soldiers, cops and students wanted to sign up. Lawyers for two former Blackwater workers charged with murdering two Afghan civilians are mounting a constitutional challenge that has never been tested before the U.S. Supreme Court. The government has had difficulties in the past gaining convictions against private contractors and military personnel for conduct in the Iraq and Afghanistan wars. This latest move is indicative of the challenges faced by both sides in the murder case against Christopher Drotleff and Justin Cannon. Both defendants filed a flurry of motions over the past two weeks seeking to have the case thrown out and, among other things, demanding that the government turn over any exculpatory evidence it might have. One joint motion calls for the dismissal of the indictment, arguing that Congress overstepped its authority when it passed a law, and several amendments, specifically targeting private contractors accused of crimes in war zones. “Congress has attempted to expand federal criminal jurisdiction overseas in ways never imagined by the Founding Fathers,” Cannon’s attorneys wrote in a May 19 motion to dismiss. The arguments has been tried before without success, but one federal judge in a similar case called the argument “rather strong.” Legal experts and a military analyst say the U.S. Supreme Court must eventually decide whether Congress went too far. U.S. District Judge Robert G. Doumar will hear arguments in the case on July 9. Drotleff, of Virginia Beach, and Cannon, of Texas, were employed by Blackwater (also known as Xe) subsidiary Paravant in May 2009. They were based at Camp Alamo in Kabul, training the Afghan National Army on the use of weapons. On the night of May 5 last year, Drotleff, Cannon and two other Paravant workers were driving three Afghan nationals, who worked as interpreters and computer technicians for the Army and private contractors, to a taxi stand. Driving in two vehicles on Jalalabad Road, which the State Department describes as one of the most dangerous Afghan roads and one where travel is tightly restricted, the Paravant workers say they were concerned about the safety of the Afghans. Drotleff, armed with an Army-issued handgun, drove one vehicle with Cannon riding in back protecting the rear with an assault rifle. A speeding car pulled up on them from the rear, passed Drotleff and then wedged in between them, striking the lead Paravant vehicle. That Paravant driver lost control and crashed into a wall, injuring everyone inside. As Drotleff and Cannon tried to help the injured, the car that caused the accident, or another car just like it, began heading toward them “again at a high rate of speed,” according to the May 19 court filing. “Fearing for their own safety and the safety of their fellow Paravant employees and the Afghans, the defendants fired their weapons at the approaching car,” the court filing states. The approaching car suddenly turned down a side street and sped away. Drotleff and Cannon did not learn until later that they had struck two people in the car as well as a third bystander walking by. The pedestrian, Rahib Mirza Mohammad, also known as Rahib Heleludin, was shot in the head. He slipped into a coma and died about a month later. His father told the Los Angeles Times that his son was walking home from prayers that evening. The passenger in the car, Romal Mohammad Naiem, was killed and the driver, Fareed Haji Ahmad, also known as Sayd Kamal, injured. Witnesses told the Times that those two young men were driving home from work when they were fired upon for no reason. They were unarmed. A federal grand jury here indicted Drotleff and Cannon in January on 13 charges of murder and illegal use of firearms. They remain jailed without bond pending trial on Sept. 14. Prosecutors said Drotleff had been drinking that day and fired out of aggravation over an unintentional traffic accident. They also say the contractors left Camp Alamo without permission and took weapons without authorization. But defense attorneys say they have reviewed statements – supplied by prosecutors, the defendants’ coworkers, investigators, interpreters and Afghan nationals – and none indicated that Drotleff or Cannon had been drinking or were intoxicated that day. They also cite a report by the Army’s lead investigator into the incident that said alcohol was not a factor. The attorneys have also asked the judge in the case to prohibit prosecutors from introducing evidence showing that the defendants were fired or that they had left the base and carried weapons without permission, calling such information irrelevant. A larger challenge looming in the case is whether the charges against the defendants are legal under the U.S. Constitution. Drotleff and Cannon were charged under a relatively new section of law called the Military Extraterritorial Jurisdiction Act, passed by Congress in 2000 and amended several times since. The act was meant to close loopholes that prevented the government from charging non-military civilians with crimes committed outside the territorial jurisdiction of the United States, such as in Iraq and Afghanistan. The act “goes well beyond the enumerated powers of Congress,” the attorneys argue. Congress is limited, they said, to punishing for offenses involving navigation, trade, diplomacy, war, terrorism, torture or piracy that occur outside traditional U.S. borders. None of those apply here, they say, not even war, because the middle of Kabul is not a traditional battlefield. The same arguments failed in similar criminal cases against Iraq and Afghanistan contractors, currently pending in Louisiana and Washington. The Washington case, the now-notorious 2007 Nisoor Square mass killings in Baghdad by five Blackwater contractors, was ultimately dismissed for other reasons. Columbia Law School professor Scott Horton, who consulted with Congress on some of the MEJA amendments, said the Founding Fathers would have considered it “preposterous” to prosecute anyone outside the United States during the American Revolution, but that doesn’t mean they didn’t give Congress the authority to change the law. The alternative, he wondered, is to let the foreign nations prosecute the contractors, which would create obvious problems of fairness. Horton said challenges to MEJA are only now making their way through the federal appeals courts. Eugene Fidell, a Yale law professor and president of the National Institute of Military Justice at American University, said he too has been following the issue and sees a likely Supreme Court challenge, though not one that would likely favor Drotleff and Cannon. 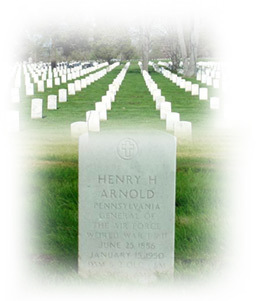 May 26, 2010 — The U.S. Army’s publicly disclosed soldier suicide counts for 2008 and 2009, the highest on record, are lower than those reported in a new internal Army study obtained by epiNewswire. The disparity is modest. The internal study, completed last month, lists a total of 311 soldier suicides for 2008 and 2009. As of April 2010, the Army’s publicly disclosed suicide count for those two years totaled 300. It is unclear whether the discrepancy is due to inaccurately low public disclosures or inaccurately high numbers in the internal study. Because of the time sometimes required to confirm suicide determinations, estimated suicide rates for a given month can climb over a period of several months. But that does not appear to explain the disparity between the numbers reported to the public and those listed in the internal study. The study reports 166 soldier suicides for 2009, for example — six more than the 160 Army officials reported to the Congress and journalists in April 2010, the same month the study was completed. Army suicide data released to the public May 13 included “updated numbers for 2009” totaling 163 suicides, reflecting three newly confirmed suicides. Two of those deaths had been initially declared accidental, according to an Army press release. But the revised 2009 figure released this month was still lower than the 166 cases cited in the Army’s internal study. May 26 (Bloomberg) — DynCorp International Inc., a defense contractor that helps maintain military aircraft, was sued for at least $10 million in federal court by two former U.S. Army pilots who were injured in a 2008 helicopter crash in Iraq. Special Operations unit members Gary Linfoot and Gregory Cooper were flying the helicopter south of Baghdad when its main rotor driveshaft failed and the aircraft crashed, according to a complaint filed yesterday in Wilmington, Delaware. Linfoot and Cooper, both of Tennessee, “suffered severe and permanent bodily and emotional injuries” causing pain, fear, medical expenses and earnings loss, their lawyers said in court papers. “DynCorp was responsible for maintaining the subject helicopter in an airworthy condition” and the pilots were hurt as a result of the company’s “negligent acts,” the complaint contends. A Fluor Corp . employee from North Carolina was killed in a May 19 attack on Bagram Airfield in Afghanistan. The contractor was the sole fatality, but several service members were wounded, according to the U.S. Department of Defense .The name of the contractor wasn’t released because of Fluor policy, said Keith Stephens, company spokesman. The casualty was Fluor’s first due to hostile action, he said. The plan was to overwhelm the Taliban stronghhold with coalition forces — and then instantly install a new civilian infrastructure in the town of Marjah. “We’ve got a government in a box, ready to roll in,” said top commander Gen. Stanley McChrystal. Marines are running into more firefights on their patrols. Taliban insurgents threaten and kill residents who cooperate with the Americans, and it will be months before a permanent police force is ready to take control of the streets from the temporary force that’s brought some stability to Marjah. The U.S.-backed Marjah governor, Marine officials said, has five top ministers. Eight of 81 certified teachers are on the job, and 350 of an estimated 10,000 students are going to school. KANDAHAR, AFGHANISTAN — Before he became America’s best hope for reforming Kandahar’s cutthroat political system, provincial governor Tooryalai Wesa was fired from his job with a U.S.-government contractor over mismanagement and allegations of corruption. At the risk of belaboring the obvious we should remember that being a private military or security contractor can be a dangerous job. You can be wounded or killed, even if you are not carrying a gun. As private contractor casualties are not reported by the Defense Department and merit just the briefest of notices in local hometown newspapers such casualties are largely off the radar screen for most people. But the numbers are hardly trivial. Consider the latest version of a report on the Defense Base Act (DBA), put out by the Congressional Research Service. The DBA essentially requires that many federal government contractors and subcontractors provide workers’ compensation insurance for their employees who work outside of the United States. As the U.S. military has increased operations in Iraq, the size of the DBA program has grown. Between September 2001 and the end of December 2009, the DBA has processed 55,988 cases of covered injuries or deaths. Of these, 27,820 or 49.7% involved no lost work time on the part of the employee. During this period, the DBA has processed 1,987 cases involving the death of a covered employee. Of these, 1,459 or 73.4% occurred in Iraq and 289 or 14.5% occurred in Afghanistan. Of the 289 deaths in Afghanistan, 100 occurred during the final six months of 2009. Contractor operations in Iraq and Afghanistan account for 87.9% of all covered contractor deaths during this period. Nearly $200 million in cash and medical benefits were paid to DBA claimants in 2008. Note that many of the casualties were among people who did not do security work. Just over 40% of all injury and death cases covered by the DBA during this period involved employees working for Service Employers International Inc., an indirect subsidiary of KBR. Service Employers International Inc. was the employer of record for 22,921 total cases including 107 death cases between September 2001 and the end of December 2009. Prior to the start of Operation Iraqi Freedom (which, by the way, will be renamed Operation New Dawn. effective September 1) in 2003, DBA benefits were paid to several hundred claimants per year. OIF was accompanied by an increase in the number of DBA cases and the total amount spent on DBA claims. The DBA caseload increased more than six-fold between 2004 and 2007, with 2007 having the largest caseload of the entire period. The average amount of compensation and medical benefits paid per claim in 2007, however, was at the lowest level since 2003. The number of DBA payments dropped in 2008, but the average benefits per case rose to the 2006 level. The Department of Labor reports that the increase in cases in 2007 was due, in part, to greater compliance efforts that resulted in firms reporting a greater number of claims that involved only minor medical care and no lost work time.